Carter’s facilities include an 80,000-square foot warehouse in the city’s downtown area. Each day more than 1,300 businesses in a nine-county service area in Southeastern Tennessee rely on Carter Distributing to supply them with the finest products from some of the best-known brands in the world. Carter Distributing represents names such as Abita Brewing, Angry Orchard, Ballast Point, Big River Brewing, Blackberry Farms, Blackstone Brewing, Boston Beer Company, Burnt Hickory, Catawba, Coors Brewing Company, Constellation Imports, Dark Horse, Devils Backbone, Diageo Guinness, Dogfish, Fat Bottom, Four Loko, Grayton, Gambrinus, Heineken USA, Hofbrau, Jekyll, Lagunitas Brewing Company, Lazy Magnolia, McKenzie’s, Mike’s Hard Beverage Company, Miller Brewing Company, Narragansett, North Coast, Rivertown, RJ Rockers, Seagrams, Sam Adams, Sixpoint, Stella Artois, Terrapin, Straight To Ale, Southern Tier, Tailgate, Tennessee Brew Works, US Beverage, Wild Heaven, Yee Haw and numerous other craft beers. Beyond beer, the company also distributes non-alcoholic beverages, including Icelandic Water, Frosty & Spider Energy. In addition, Carter’s Wine & Spirits Division handles the distribution of wines and spirits, including Purple Toad, Platinka, Panoram Wines, and Richland Rum. The company also became the first distributor in the United States to distribute Trianon Tequila. The 85 employees of Carter Distributing focus on providing unparalleled service to their customers through timely distribution of quality products via the company’s fleet of 60 vehicles, including tractor-trailers, cars, vans, and special event trailers. Many have worked with Carter for decades. The senior management team lists more than three centuries of combined experience that translates into superior execution, professional marketing, team spirit, and a work ethic that sets Carter employees apart. ▲ William L. Carter founded Carter Distributing in Chattanooga in 1959. William L. Carter was a partner in a beer distributorship in Clarksville, Tennessee in 1959 when Miller Brewing Company approached him regarding the possibility of sole ownership of a distributorship in Chattanooga. At the time, Miller distributed only two products, Miller High Life and Carling Black Label. The prospects of operating his own business appealed to Carter and he decided to move his wife and four young children to Chattanooga. 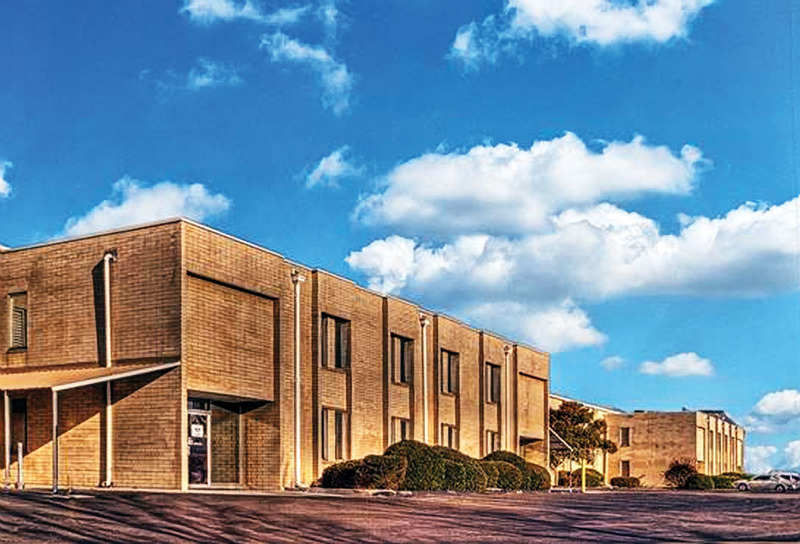 Carter’s rapid success resulted in outgrowing his two original warehouse locations. In 1974, he entered into an agreement to build an 80,000-square foot warehouse in the downtown area that would house four separate distributorships. This groundbreaking approach was unheard of at the time in the wholesale beer business. He also built a 20,000-square foot temperature controlled satellite warehouse in Cleveland, Tennessee. To reach the pinnacle of success in his chosen field, Carter felt he needed to offer enough storage space to stay ahead of their growing business. Hindsight reveals how accurate his assessment was. From selling 59,000 cases of beer annually in its infancy, Carter Distributing now delivers close to two million cases each year to its customers. 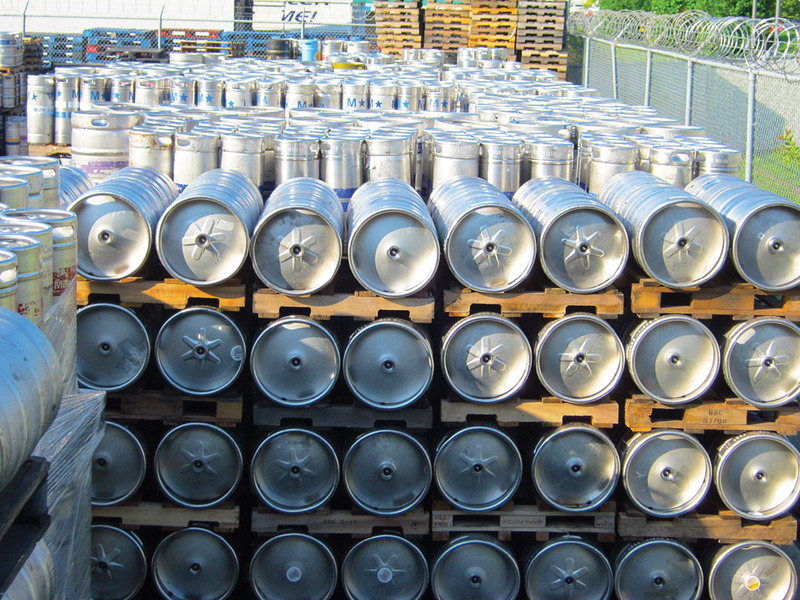 The company is one of the top ten largest beer wholesalers in Tennessee with an annual payroll exceeding $5 million. The company’s storage facilities feature more than 100,000 square feet of temperature-controlled storage and office space, including a spacious 5,000-square foot cooler that stays consistently at 36 degrees Fahrenheit. The Cleveland warehouse was closed in 2014 to consolidate all operations to the Chattanooga location. While Carter Distributing does over half its annual business in Hamilton County, the company also serves Bradley, Marion, McMinn, Meigs, Monroe, Polk, Rhea and Sequatchie Counties. Over the years, through consistently surpassing annual sales and distribution quotas and leading the way in bringing new brands to the market, Carter Distributing has been recognized nationally by several of its peers and suppliers. Heineken, Corona, Sam Adams, Miller/Coors, and Diageo have cited Carter Distributing for outstanding performance. In 2013, William Carter was inducted into the MillerCoors “Legends”, one of only two wholesalers nationally that are recognized annually for lifetime service to the industry. 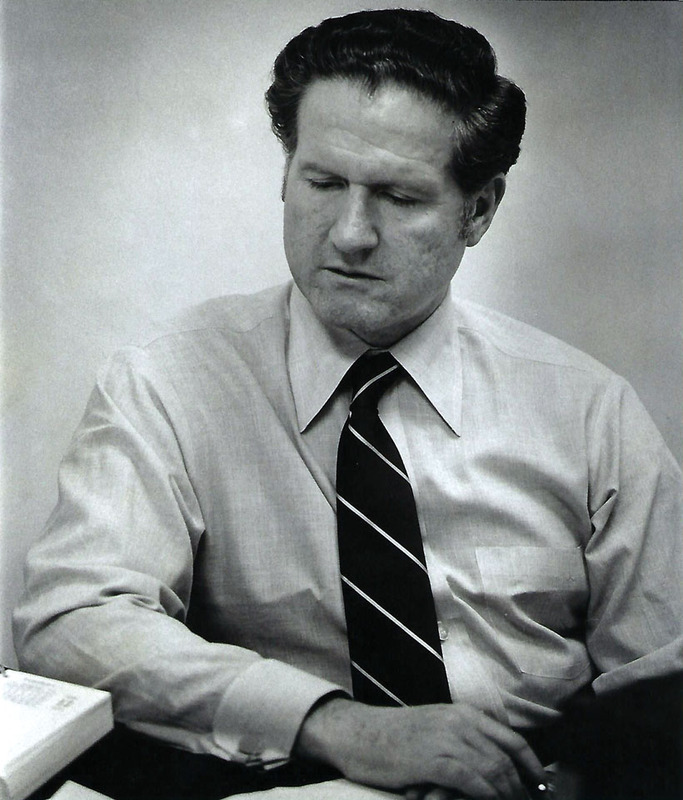 Carter’s son, Blair, the present president of the company, was the recipient of the 2002 Miller Brewing Company’s High Life Achievement Award recognizing Carter as one of the top 40 industry leaders in the United States. And in 2015, Carter Distributing was recognized by Corona Beer as among its top four Corona wholesalers in the country. 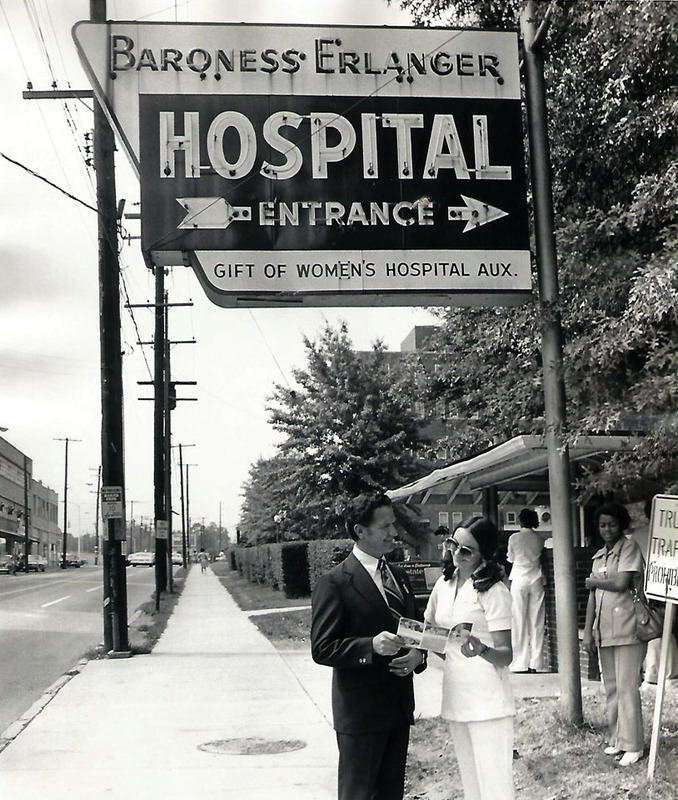 ▲ Bill Carter, while serving as a Tennessee State Representative, helped create the Erlanger Hospital Authority. to serve as the company’s president. Blair’s youngest daughter, Morgan, recently joined the company bringing a third generation into the family business. The Carter family and each of the company’s employees take great pride in giving back to their community. They contribute heavily to many local charities having donated more than $1 million to worthy causes over the years. Some charities have included The Kidney Foundation, United Way, Erlanger, St. Jude Children’s Research Hospital and many more too numerous to list. They also sponsor numerous outdoor concerts and charity golf events that improve the quality of life for all the residents of the Chattanooga area.